Overnight we have seen the metal move off it's lows and it is presently trading at 1225.67. Interestingly enough there is still some ideas that Gold may move lower again, especially if the Retail reports from later this morning indicate that an interest rate increase may be coming. Later in the day we will hear from the Federal Reserve and that also may affect the price of Gold. 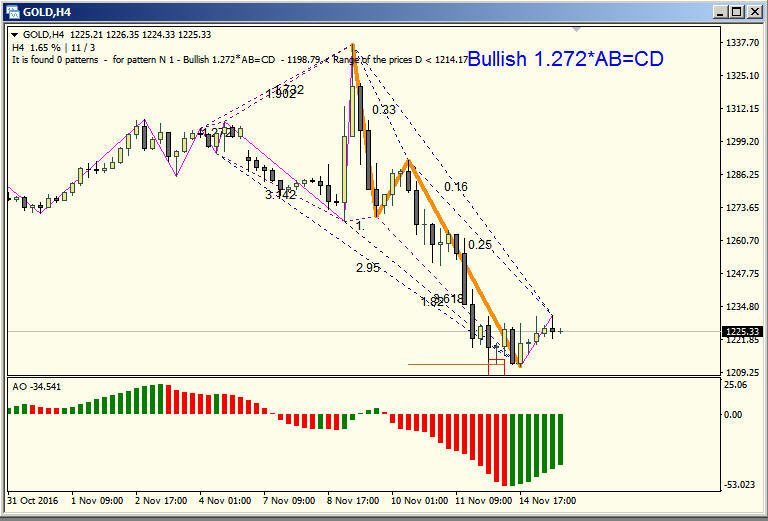 Traders will have to be very aware as to the value of the US Dollar in order to adjust their position in Gold. 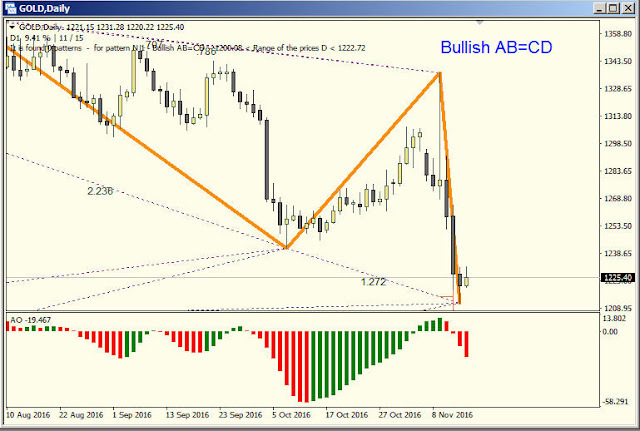 Here are a couple charts showing Bullish Fibonacci Patterns on both 240 minute and daily charts of Gold.